The United States Supreme Court has refused to hear a case out of the Ninth Circuit regarding a pregnant woman that was tasered for refusing to sign a speeding ticket. The case stems from an incident that occurred in 2004 when 33-year-old Malaika Brooks was pulled over by Seattle police while taking her 11-year-old son to school. Police claimed that Brooks was driving at 32mph in a 20mph school zone, and wrote her a ticket. When they asked her to sign the ticket, she refused, stating that she believed it would appear as an acceptance of the charges. She explained that she wished to contest the ticket and preferred not to sign. After multiple back-up officers were called the scene, all of which could not persuade Books to sign the ticket, they threatened her with arrest. When she would not get out of the car, officers tasered her in multiple locations on her body until she could not fight them off any longer. She was then pulled from the vehicle and taken into custody. Brooks later sued the Seattle Police Department for excessive force in violation of the Fourth Amendment. The case continued up the court system until it reached the 9th Circuit Court of Appeals, which declared that the police officers’ actions were indeed improper. 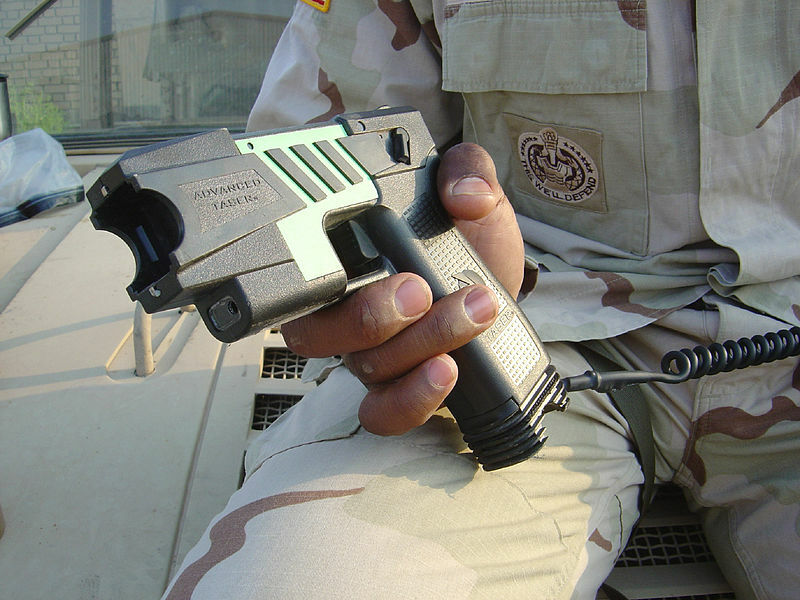 However, the court simultaneously granted the officers qualified immunity, stating that the right to be free from excessive tasering has not yet been clearly established in the courts. In refusing to take the case, some are seeing the Supreme Court’s denial of an appeal as a free pass to police officers who abuse their discretion in the use of taser guns. Whitehead explained that many non-threatening individuals are increasingly being tasered by police, including children and the elderly. “Police looking for absolute deference to their authority are quick to utilize tasers,” he stated.”What this [ruling] reflects is a move away from a government bound by the rule of law to one that seeks total control over the populace through the imposition of its own self-serving laws on the populace—laws carried out by a police force hired to do the government’s bidding,” Whitehead said. Brooks says that she gave birth to a healthy baby girl after the incident, but still has burn marks on her body to this day.